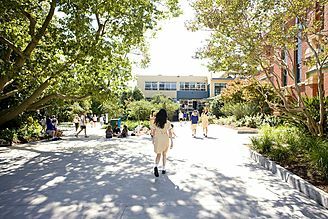 Carey is an independent, co-educational Christian school for students from 3-year-old Kindergarten to Year 12. Established in 1923, we have a full enrolment of 2,300 students with a whole–school 50:50 gender ratio. There are three central pillars to a Carey education: a broad range of academic subjects, a wide variety of co-curricular activities and a personalised, nurturing pastoral care system. Carey students are offered a variety of leadership opportunities; participate in local and international community service projects; study units that explore different cultures, religions and beliefs; learn the importance of social justice and human rights issues; and are encouraged to respect and appreciate the world beyond their own experiences. Carey is also a member of the Associated Public Schools of Victoria (APS) through which we participate in a variety of sporting competitions. Our Year 12 results regularly place Carey among the top ten schools in the State. 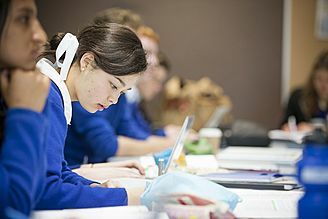 In Year 11 and 12, students can study either the VCE or the IB Diploma programs. Students at all levels benefit from a diverse curriculum that allows them to broaden their interests and receive a solid grounding in traditional academic subjects. A wide range of technology is used throughout the school including digital whiteboards and iPads together with an extensive laptop program. Classrooms are all are wirelessly networked and provided with ICT support. An online Learning Management System provides easy access to class notes, references and texts, and administrative information for students and parents. Students also benefit from an individualised pastoral care program at Carey. Teachers and Mentors within our House system develop meaningful relationships with the small group of students in their care. 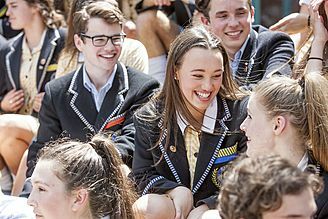 As students in Years 10, 11 and 12 are preparing for life beyond school, this pastoral care system helps to support them in their decision–making about tertiary study and possible vocational paths. Carey’s facilities have all been purpose–built for age group and activities. 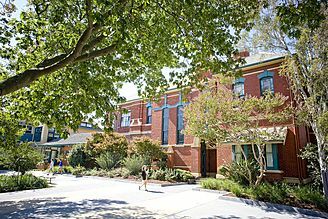 We have three campuses in metropolitan Melbourne: Kew (3-year-old Kindergarten ® Year 12), Donvale (3-year-old Kindergarten ® Year 6) and Bulleen (our 14-hectare sports complex, which includes gymnasiums, ovals, and an indoor swimming and diving pool). We also have a specialist outdoor education facility on the Gippsland Lakes in eastern Victoria, Camp Toonallook; a Performing Arts Centre with fully equipped theatre that accommodates music and drama classes, as well as other performing arts and community activities; and a new centre for Learning and Innovation with an extensive information and resource centre. An average of 85 students at Year 11 and 75 students at Year 12 undertake the IB program. IB Diploma subjects offered at Carey include: Language A: English, Chinese; Language B: French, German, Indonesian, Chinese - Mandarin, English, Spanish ab initio; Individuals and Society: Business and Management, Economics, History, Philosophy, Psychology; Experimental Sciences: Biology, Chemistry, Physics; Mathematics: Mathematical Studies, Mathematics (both SL and HL) The Arts: Visual Arts, Theatre Arts, Music.